When you first step into the building, you feel the luxury with 24-hour concierge, spectacular chandelier and grand staircase. 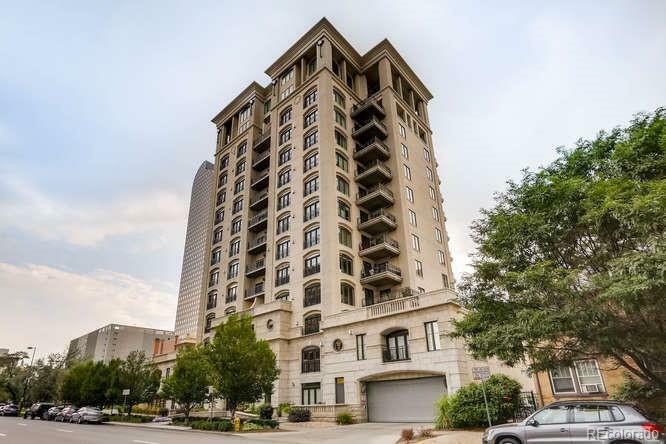 Experience uptown living at it's best in a great location! Walk to restaurants and shops. Portfino Tower is urban contemporary with upscale luxury. This stunning 8th floor unit is open and bright with incredible city views from every window. The spacious living room has lighted tray ceilings, hardwood floors and a fireplace. The kitchen includes gas stovetop, SS appliances, all open to the light-filled great room with floor to ceiling windows and wonderful views of downtown. Entertain inside or out on the covered patio. Enjoy numerous uptown restaurants within walking distance or jump on light rail or mall shuttle making the options endless. Excellent amenities: 24 hr security staff, conference room, gym, jet pool, sauna, steam room, secure wine locker and more.